Bringing documents from one state to another and having their validity recognized has always been difficult. A foreign corporation that wants to establish a Philippine subsidiary has to go through several steps just to authenticate its articles of incorporation from abroad. But with the Philippines recently joining the Apostille Convention, things are bound to get easier. 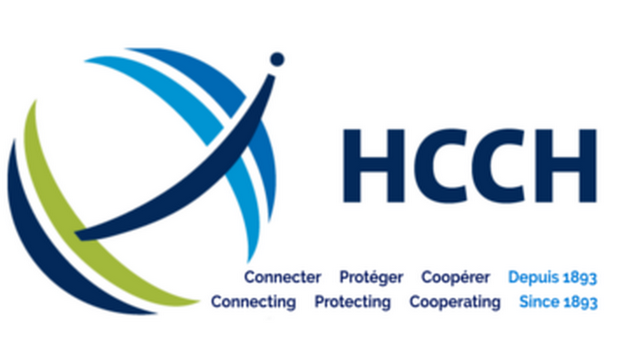 The Apostille Convention (formally known as the Hague Convention Abolishing the Requirement of Legalisation for Foreign Public Documents) provides for the use of a security certificate called the “Apostille.” This simplifies the authentication process for public documents used across signatory countries. The Philippines officially became a member last September 12, 2018. Drafted by the Hague Conference on Private International Law (HCCH), the international treaty will take effect between the Philippines and other states party to it on May 14, 2019. This is pending changes to be made by the Supreme Court to the Rules of Court with regards to foreign public documents. The Office of Consular Affairs under the Department of Foreign Affairs (DFA) will be responsible for implementing the treaty. Once the Convention becomes effective, public documents would no longer need to be consularized. An apostillized public document will immediately have legal effect in a foreign country where it is presented. Of course, the affixing of a red ribbon is still needed for states which are not members of the Convention. The apostille is a standard form that can be placed or attached to the original document. It testifies that a document bears the signature of an authorized person, the capacity of the signatory, and an official stamp or seal. It does not, however, certify the content or purpose for which the document was issued. b) administrative documents dealing directly with commercial or customs operations. The apostille, once it is fully implemented in the Philippines, can boost trade and investment while making personal transactions easier. It will be useful for the millions of Filipinos working abroad as well as the large number of expatriates who have made (or are planning to make) the Philippines their second home. Businesses are constantly looking for ways to cut costs and increase productivity. One of the many ways this can be achieved is by investing in advanced technologies that will eradicate timely hand-operated tasks. These allow organizations to waste less time on routine but necessary office work and more time on Important Matters. A Document Imaging System is a software that allows users to store, organize and retrieve digital records. (E.g. scanned images, photos and general office documents). What can it do to help your Business? 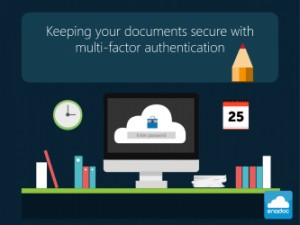 Be able to instantly access documents anytime, anywhere. Sophisticated search and retrieval capabilities. Merge a Document Imaging System with other essential business applications to manage IT costs and propel efficiency. Guarantee document recovery in the case of a disaster. It allows multiple backups to be stored at offsite locations providing a means to recover data. Document Imaging Systems are vital to an organization’s capability to process and share information quickly, helping employees make decisions faster. However, This is only one step forward. Organizations looking to get the most out of the technology often forget two other crucial technologies that make these systems possible, which are Optical Character Recognition and Data Capture. It’s almost always the same story every time. Businesses purchased a Document Imaging System believing it would improve the productivity and reduce inefficiencies in the workplace but in their evaluations, they neglected to think about all the documents they presently have sitting in their filing cabinets around the office. Whilst they can effectively take care of new, electronic documents, they do not have way of digitizing or extracting important data from existing paper documents. Optical Character Recognition and Data Capture are what make this possible. They allow organizations to get rid of cabinets full of paper documents, and make all of the information held on them accessible online throughout the whole organization. Without this capability, employees are left with half of the information,therefore only half of the productivity gains. With these in place, employees can appreciate not having to run around back and forth to the file cabinet or be asked to track down a relevant document out of the Archive. The Best System we’ve come across, so far, has been Enadoc. Where you are able to Search efficiently, Organize, Capture and Secure your document, and most importantly save time and money. Has your organization invested in a Document Imaging System? If so, did they simultaneously acquire Optical Character Recognition and Data Capture solutions? Contact us NOW for a presentation on how Enadoc can help your business succeed. Why would anyone want to start and do business in the Philippines? The bureaucratic and legal hurdles a company or entrepreneur must overcome to incorporate and register a new firm here can be frustrating. However, with the help of a business consultant, that has extensive experience in Philippines business registration and setting up foreign owned businesses here, such as Dayanan Business Consultancy, that is not an issue. The fact that so many foreign companies have regional headquarters, representative offices, foreign branch offices and other business setups in the Philippines, speaks volumes that it is well worth wading through the red tape to have operations here. One of the biggest advantages of doing business in the Philippines is that it has a higher level of English proficiency than any other Asian country. There is also an immense pool of talented Filipino graduates and experienced workers providing cost effective human resource solutions. In addition, the Philippine Government offers incentives through a dozen Investment Promotion Agencies (IPAs) promoting “Economic Zones” in selected areas of the country. Incentives include various tax exemptions, tax holidays, special investor’s visas, and others to promote investment in businesses. These secure ready-to-occupy world-class, environment-friendly, and competitively priced Special Economic Zones are waiting for various types of businesses, both commercial and industrial, to take advantage of them. Depending on which Investment Promotion Agency is being utilized; these can include manufacturing, BPO, tourism, agri-business, IT services and more. For example, the Philippine Board of Investments is focused on BPOs, the electronics industry, shipbuilding, and renewable energy. PEZA’s priorities are focused more on manufacturing and industrial agricultural manufacturing for export and BPO’s, as well as overall economic zone development and operation. There is some overlap in the kinds of businesses to which the IPAs will grant incentives. The tourism industry opens up a tremendous amount of opportunities for businesses, especially in the small to medium range. To learn more about the procedures, time, and cost involved in starting a business in the Philippines, business contact the DBC Team now for a free consultation. 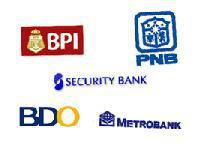 All corporations doing business in the Philippines need a local bank account. There are many local banks, foreign owned banks and branches of foreign banks to choose from. The main advantage of opening an account with a local bank is their numerous branches all over the country, mall outlets open on weekends and payroll ATM accounts for employees. 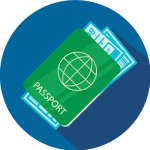 Foreign Individuals: most banks require that foreigners present an Alien Certificate of Residence (ACR) issued by the Bureau of Immigration. Tourists who stay in the Philippines for more than 59 days will be issued an ACR. All others who are issued work visas or any other kind of long stay visa will also be issued an ACR. Some banks may require proof of address. Many people ask how they may circumvent the Philippines laws on foreign ownership as stated in the foreign investment negative list. Most inquires pertain to foreign ownership of land and foreign ownership of corporations engaged in retail business or where the foreign equity is restricted to 40% or less. No legal solutions exist for a foreigner to own land in their own name or to own more than the legal percentage of a business allowed to him by law. The use of nominees with side agreements is illegal and is a violation of the Anti-Dummy Law. • That the foreign investor provides practically all the funds for the joint investment undertaken by Filipino businessmen and their foreign partner. • That the foreign investors undertake to provide practically all the technological support for the joint venture. • That the foreign investors, while being minority stockholders, manage the company and prepare all economic viability studies. Foreign investors may think they are protected by side agreements naming them the beneficial owners, however when the time comes to use the agreement in court, they will discover that the agreement has no value being a document that violates the law. Another common occurrence is for the foreign investor to find that the nominee has taken over the business or has sold all the business’s assets. No matter what people may tell you, the best way to do business in the Philippines is to obey the foreign investment act regulations regarding foreign ownership. Shortcuts only equal unnecessary risks. Section 1. Who may practice law. – Any person heretofore duly admitted as a member of the bar, or hereafter admitted as such in accordance with the provisions of this rule, and who is in good and regular standing, is entitled to practice law. Sec. 2. Requirements for all applicants for admission to the bar. – Every applicant for admission as a member of the bar must be a citizen of the Philippines, at least twenty-one years of age, of good moral character, and a resident of the Philippines; and must produce before the Supreme Court satisfactory evidence of good moral character, and that no charges against him, involving moral turpitude, have been filed or are pending in any court in the Philippines. Sec. 4. Requirements for applicants from other jurisdictions. – Applicants for admission who, being Filipino citizens, are enrolled attorneys in good standing in the Supreme Court of the United States or in any circuit court of appeals or district court therein, or in the highest court of any State or Territory of the United States, and who can show by satisfactory certificates that they have practiced at least five years in any of said courts, that such practice began before July 4, 1946, and that they have never been suspended or disbarred, may, in the discretion of the Court, be admitted without examination. Sec. 5. Additional requirements for other applicants. – All applicants for admission other than those referred to in the two preceding sections shall, before being admitted to the examination, satisfactorily show that they have regularly studied law for four years, and successfully completed all prescribed courses, in a law school or university, officially approved and recognized by the Secretary of Education. The affidavit of the candidate, accompanied by a certificate from the university or school of law, shall be filed as evidence of such facts, and further evidence may be required by the court. No applicant shall be admitted to the bar examinations unless he has satisfactorily completed the following courses in a law school or university duly recognized by the government: civil law, commercial law, remedial law, criminal law, public and private international law, political law, labor and social legislation, medical jurisprudence, taxation and legal ethics. Sec. 6. Pre-Law. – No applicant for admission to the bar examination shall be admitted unless he presents a certificate that he has satisfied the Secretary of Education that, before he began the study of law, he had pursued and satisfactorily completed in an authorized and recognized university or college, requiring for admission thereto the completion of a four-year high school course, the course of study prescribed therein for a bachelor’s degree in arts or sciences with any of the following subjects as major or field of concentration: political science, logic, english, spanish, history and economics. Sec. 7. Time for filing proof of qualifications. – All applicants for admission shall file with the clerk of the Supreme Court the evidence required by section 2 of this rule at least fifteen (15) days before the beginning of the examination. If not embraced within sections 3 and 4 of this rule they shall also file within the same period the affidavit and certificate required by section 5, and if embraced within sections 3 and 4 they shall exhibit a license evidencing the fact of their admission to practice, satisfactory evidence that the same has not been revoked, and certificates as to their professional standing. Applicants shall also file at the same time their own affidavits as to their age, residence, and citizenship. Sec. 8. Notice of applications. – Notice of applications for admission shall be published by the clerk of the Supreme Court in newspapers published in Pilipino, English and Spanish, for at least ten (10) days before the beginning of the examination. Sec. 9. Examination; subjects. – Applicants, not otherwise provided for in sections 3 and 4 of this rule, shall be subjected to examinations in the following subjects: Civil Law; Labor and Social Legislation; Mercantile Law; Criminal Law; Political Law (Constitutional Law, Public Corporations, and Public Officers); International Law (Private and Public); Taxation; Remedial Law (Civil Procedure, Criminal Procedure, and Evidence); Legal Ethics and Practical Exercises (in Pleading and Conveyancing). Sec. 10. Bar examination, by questions and answers, and in writing. – Persons taking the examination shall not bring papers, books or notes into the examination rooms. The questions shall be the same for all examinees and a copy thereof, in English or Spanish, shall be given to each examinee. Examinees shall answer the questions personally without help from anyone. Upon verified application made by an examinee stating that his penmanship is so poor that it will be difficult to read his answers without much loss of time, the Supreme Court may allow such examinee to use a typewriter in answering the questions. Only noiseless typewriters shall be allowed to be used. The committee of bar examiners shall take such precautions as are necessary to prevent the substitution of papers or commission of other frauds. Examinees shall not place their names on the examination papers. No oral examination shall be given. Sec. 11. Annual examination. – Examinations for admission to the bar of the Philippines shall take place annually in the City of Manila. They shall be held in four days to be designated by the chairman of the committee on bar examiners. The subjects shall be distributed as follows: First day: Political and International Law (morning) and Labor and Social Legislation (afternoon); Second day: Civil Law (morning) and Taxation (afternoon); Third day: Mercantile Law (morning) and Criminal Law (afternoon); Fourth day: Remedial Law (morning) and Legal Ethics and Practical Exercises (afternoon). Sec. 12. Committee of examiners. – Examinations shall be conducted by a committee of bar examiners to be appointed by the Supreme Court. This committee shall be composed of a Justice of the Supreme Court, who shall act as chairman, and who shall be designated by the court to serve for one year, and eight members of the bar of the Philippines, who shall hold office for a period of one year. The names of the members of this committee shall be published in each volume of the official reports. Sec. 13. Disciplinary measures. – No candidate shall endeavor to influence any member of the committee, and during examination the candidates shall not communicate with each other nor shall they give or receive any assistance. The candidate who violates this provision, or any other provision of this rule, shall be barred from the examination, and the same to count as a failure against him, and further disciplinary action, including permanent disqualification, may be taken in the discretion of the court. Sec. 14. Passing average. – In order that a candidate may be deemed to have passed his examinations successfully, he must have obtained a general average of 75 per cent in all subjects, without falling below 50 per cent in any subject. In determining the average, the subjects in the examination shall be given the following relative weights: Civil Law, 15 per cent; Labor and Social Legislation, 10 per cent; Mercantile Law, 15 per cent; Criminal Law; 10 per cent; Political and International Law, 15 per cent; Taxation, 10 per cent; Remedial Law, 20 per cent; Legal Ethics and Practical Exercises, 5 per cent. Sec. 15. Report of the committee; filing of examination papers. – Not later than February 15th after the examination, or as soon thereafter as may be practicable, the committee shall file its reports on the result of such examination. The examination papers and notes of the committee shall be fixed with the clerk and may there be examined by the parties in interest, after the court has approved the report. Sec. 16. Failing candidates to take review course. – Candidates who have failed the bar examinations for three times shall be disqualified from taking another examination unless they show to the satisfaction of the court that they have enrolled in and passed regular fourth year review classes as well as attended a pre-bar review course in a recognized law school. The professors of the individual review subjects attended by the candidates under this rule shall certify under oath that the candidates have regularly attended classes and passed the subjects under the same conditions as ordinary students and the ratings obtained by them in the particular subject. Sec. 17. Admission and oath of successful applicants. – An applicant who has passed the required examination, or has been otherwise found to be entitled to admission to the bar, shall take and subscribe before the Supreme Court the corresponding oath of office. Sec. 18. Certificate. – The Supreme Court shall thereupon admit the applicant as a member of the bar for all the courts of the Philippines, and shall direct an order to be entered to that effect upon its records, and that a certificate of such record be given to him by the clerk of court, which certificate shall be his authority to practice. Sec. 19. Attorneys’ roll. – The clerk of the Supreme Court shall keep a roll of all attorneys admitted to practice, which roll shall be signed by the person admitted when he receives his certificate. Sec. 21. Authority of attorney to appear. – An attorney is presumed to be properly authorized to represent any cause in which he appears, and no written power of attorney is required to authorize him to appear in court for his client, but the presiding judge may, on motion of either party and on reasonable grounds therefor being shown, require any attorney who assumes the right to appear in a case to produce or prove the authority under which he appears, and to disclose, whenever pertinent to any issue, the name of the person who employed him, and may thereupon make such order as justice requires. An attorney wilfully appearing in court for a person without being employed, unless by leave of the court, may be punished for contempt as an officer of the court who has misbehaved in his official transactions. Sec. 22. Attorney who appears in lower court presumed to represent client on appeal. – An attorney who appears de parte in a case before a lower court shall be presumed to continue representing his client on appeal, unless he files a formal petition withdrawing his appearance in the appellate court. Sec. 23. Authority of attorneys to bind clients. – Attorneys have authority to bind their clients in any case by any agreement in relation thereto made in writing, and in taking appeals, and in all matters of ordinary judicial procedure. But they cannot, without special authority, compromise their client’s litigation, or receive anything in discharge of a client’s claim but the full amount in cash. Sec. 24. Compensation of attorneys; agreement as to fees. – An attorney shall be entitled to have and recover from his client no more than a reasonable compensation for his services, with a view to the importance of the subject matter of the controversy, the extent of the services rendered, and the professional standing of the attorney. No court shall be bound by the opinion of attorneys as expert witnesses as to the proper compensation, but may disregard such testimony and base its conclusion on its own professional knowledge. A written contract for services shall control the amount to be paid therefor unless found by the court to be unconscionable or unreasonable. Sec. 25. Unlawful retention of client’s funds; contempt. – When an attorney unjustly retains in his hands money of his client after it has been demanded, he may be punished for contempt as an officer of the Court who has misbehaved in his official transactions; but proceedings under this section shall not be a bar to a criminal prosecution. Sec. 26. Change of attorneys. – An attorney may retire at any time from any action or special proceeding, by the written consent of his client filed in court. He may also retire at any time from an action or special proceeding, without the consent of his client, should the court, on notice to the client and attorney, and on hearing, determine that he ought to be allowed to retire. In case of substitution, the name of the attorney newly employed shall be entered on the docket of the court in place of the former one, and written notice of the change shall be given to the adverse party. A client may at any time dismiss his attorney or substitute another in his place, but if the contract between client and attorney has been reduced to writing and the dismissal of the attorney was without justifiable cause, he shall be entitled to recover from the client the full compensation stipulated in the contract. However, the attorney may, in the discretion of the court, intervene in the case to protect his rights. For the payment of his compensation the attorney shall have a lien upon all judgments for the payment of money, and executions issued in pursuance of such judgment, rendered in the case wherein his services had been retained by the client. Sec. 27. Attorneys removed or suspended by Supreme Court on what grounds. – A member of the bar may be removed or suspended from his office as attorney by the Supreme Court for any deceit, malpractice, or other gross misconduct in such office, grossly immoral conduct, or by reason of his conviction of a crime involving moral turpitude, or for any violation of the oath which he is required to take before admission to practice, or for a wilfull disobedience of any lawful order of a superior court, or for corruptly or wilfully appearing as an attorney for a party to a case without authority so to do. The practice of soliciting cases at law for the purpose of gain, either personally or through paid agents or brokers, constitutes malpractice. Sec. 28. Suspension of attorney by the Court of Appeals or a Court of First Instance. – The Court of Appeals or a Court of First Instance may suspend an attorney from practice for any of the causes named in the last preceding section, and after such suspension such attorney shall not practice his profession until further action of the Supreme Court in the premises. Sec. 29. Upon suspension by Court of Appeals or Court of First Instance, further proceedings in Supreme Court. – Upon such suspension, the Court of Appeals or the Court of First Instance shall forthwith transmit to the Supreme Court a certified copy of the order or suspension and a full statement of the facts upon which the same was based. Upon the receipt of such certified copy and statement, the Supreme Court shall make full investigation of the facts involved and make such order revoking or extending the suspension, or removing the attorney from his office as such, as the facts warrant. Sec. 30. Attorney to be heard before removal or suspension. – No attorney shall be removed or suspended from the practice of his profession, until he has had full opportunity upon reasonable notice to answer the charges against him, to produce witnesses in his own behalf, and to be heard by himself or counsel. But if upon reasonable notice he fails to appear and answer the accusation, the court may proceed to determine the matter ex parte. Sec. 31. Attorneys for destitute litigants. – A court may assign an attorney to render professional aid free of charge to any party in a case, if upon investigation it appears that the party is destitute and unable to employ an attorney, and that the services of counsel are necessary to secure the ends of justice and to protect the rights of the party. It shall be the duty of the attorney so assigned to render the required service, unless he is excused therefrom by the court for sufficient cause shown. Sec. 32. Compensation for attorneys de oficio. – Subject to availability of funds as may be provided by law the court may, in its discretion, order an attorney employed as counsel de oficio to be compensated in such sum as the court may fix in accordance with section 24 of this rule. Whenever such compensation is allowed, it shall not be less than thirty pesos (P30.00) in any case, nor more than the following amounts: (1) Fifty pesos (P50.00) in light felonies; (2) One hundred pesos (P100.00) in less grave felonies; (3) Two hundred pesos (P200.00) in grave felonies other than capital offenses; (4) Five hundred pesos (P500.00) in capital offenses. Sec. 33. Standing in court of persons authorized to appear for Government. – Any official or other person appointed or designated in accordance with law to appear for the Government of the Philippines shall have all the rights of a duly authorized member of the bar to appear in any case in which said government has an interest direct or indirect. Sec. 34. By whom litigation conducted. – In the court of a justice of the peace a party may conduct his litigation in person, with the aid of an agent or friend appointed by him for that purpose, or with the aid of an attorney. In any other court, a party may conduct his litigation personally or by aid of an attorney, and his appearance must be either personal or by a duly authorized member of the bar. Sec. 35. Certain attorneys not to practice. – No judge or other official or employee of the superior courts or of the Office of the Solicitor General, shall engage in private practice as a member of the bar or give professional advice to clients. Sec. 36. Amicus curiae. – The court may, in special cases, and upon proper application, permit the appearance, as amici curiae, of those lawyers who in its opinion can help in the disposition of the matter before it; or it may, on its own initiative, invite prominent attorneys to appear as amici curiae in such special cases. Sec. 37. Attorneys’ liens. – An attorney shall have a lien upon the funds, documents and papers of his client which have lawfully come into his possession and may retain the same until his lawful fees and disbursements have been paid, and may apply such funds to the satisfaction thereof. He shall also have a lien to the same extent upon all judgments for the payment of money, and executions issued in pursuance of such judgments, which he has secured in a litigation of his client, from and after the time when he shall have caused a statement of his claim of such lien to be entered upon the records of the court rendering such judgment, or issuing such execution, and shall have caused written notice thereof to be delivered to his client and to the adverse party; and he shall have the same right and power over such judgments and executions as his client would have to enforce his lien and secure the payment of his just fees and disbursements. Section 2. All lands of the public domain, waters, minerals, coal, petroleum, and other mineral oils, all forces of potential energy, fisheries, forests or timber, wildlife, flora and fauna, and other natural resources are owned by the State. With the exception of agricultural lands, all other natural resources shall not be alienated. The exploration, development, and utilization of natural resources shall be under the full control and supervision of the State. The State may directly undertake such activities, or it may enter into co-production, joint venture, or production-sharing agreements with Filipino citizens, or corporations or associations at least sixty per cent-um of whose capital is owned by such citizens. Such agreements may be for a period not exceeding twenty-five years, renewable for not more than twenty-five years, and under such terms and conditions as may be provided by law. In cases of water rights for irrigation, water supply fisheries, or industrial uses other than the development of water power, beneficial use may be the measure and limit of the grant. Section 10. The Congress shall, upon recommendation of the economic and planning agency, when the national interest dictates, reserve to citizens of the Philippines or to corporations or associations at least sixty per cent-um of whose capital is owned by such citizens, or such higher percentage as Congress may prescribe, certain areas of investments. The Congress shall enact measures that will encourage the formation and operation of enterprises whose capital is wholly owned by Filipinos. Section 11. No franchise, certificate, or any other form of authorization for the operation of a public utility shall be granted except to citizens of the Philippines or to corporations or associations organized under the laws of the Philippines, at least sixty per cent-um of whose capital is owned by such citizens; nor shall such franchise, certificate, or authorization be exclusive in character or for a longer period than fifty years. Neither shall any such franchise or right be granted except under the condition that it shall be subject to amendment, alteration, or repeal by the Congress when the common good so requires. The State shall encourage equity participation in public utilities by the general public. The participation of foreign investors in the governing body of any public utility enterprise shall be limited to their proportionate share in its capital, and all the executive and managing officers of such corporation or association must be citizens of the Philippines.